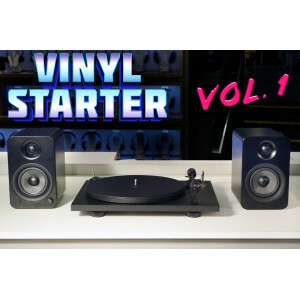 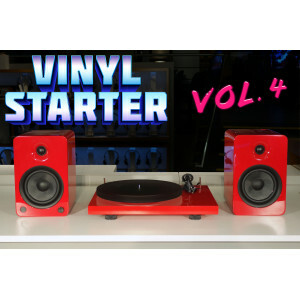 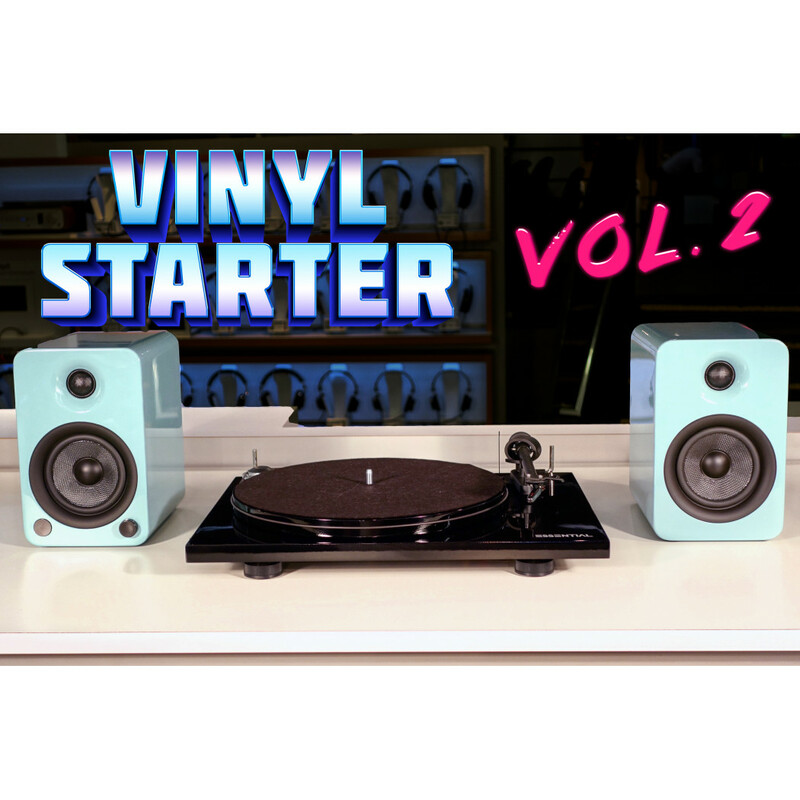 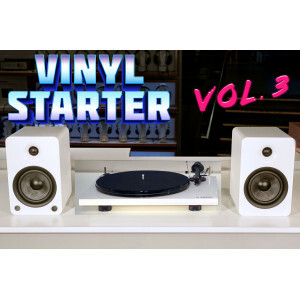 Everything you need to get started listening to vinyl records. 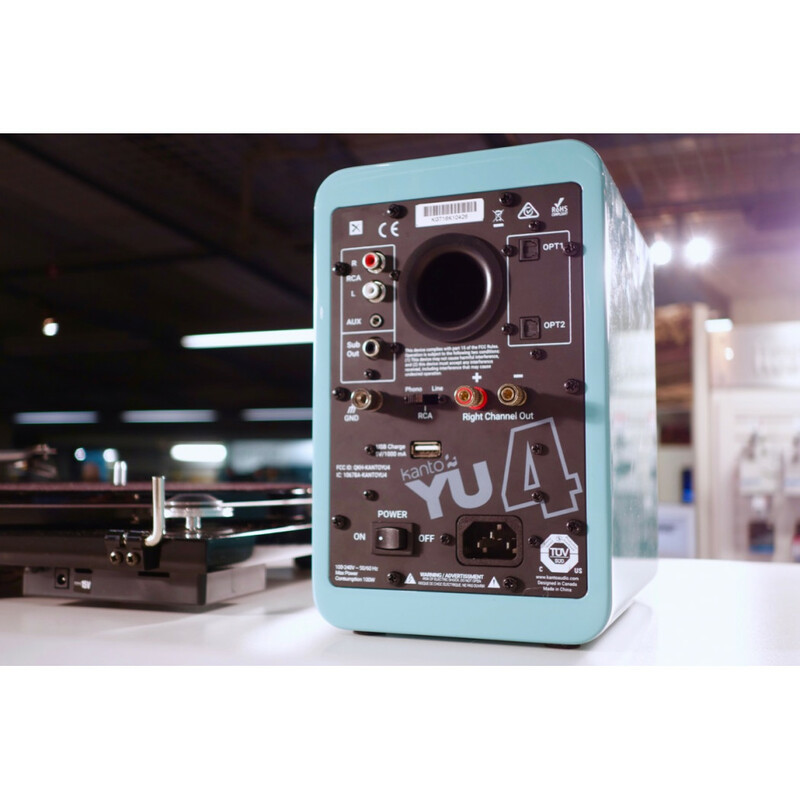 It's never been easier thanks to the YU4's built-in phono preamp, which eliminates the need for any external boxes or receivers. 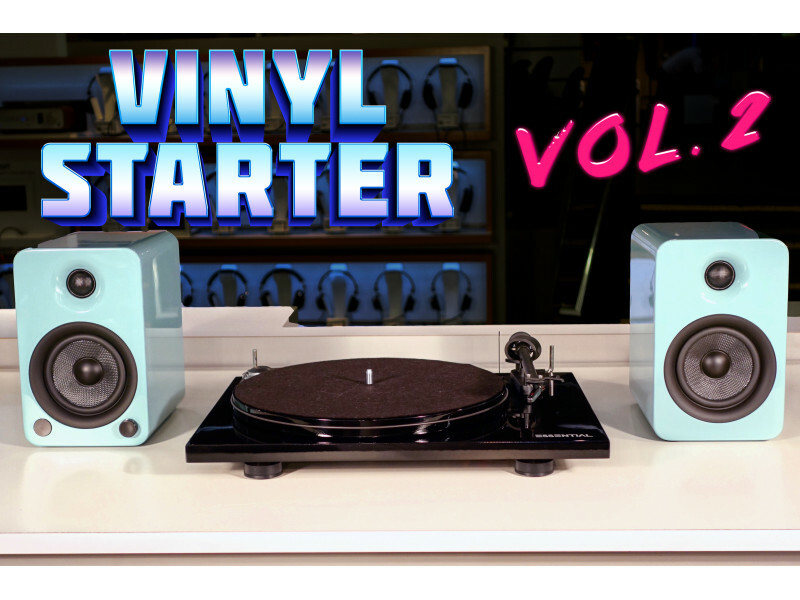 Simply plug the speakers into the wall, and plug your turntable into the speakers — that's it! 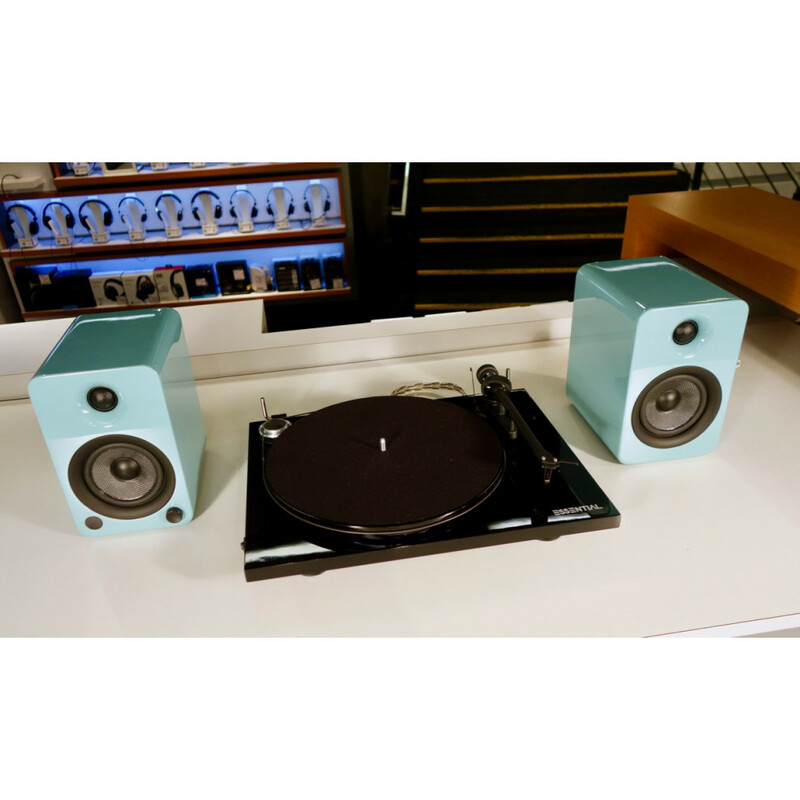 Plus, Bluetooth connectivity in the speakers lets you switch from spinning your records to streaming from your phone at the push of a button. 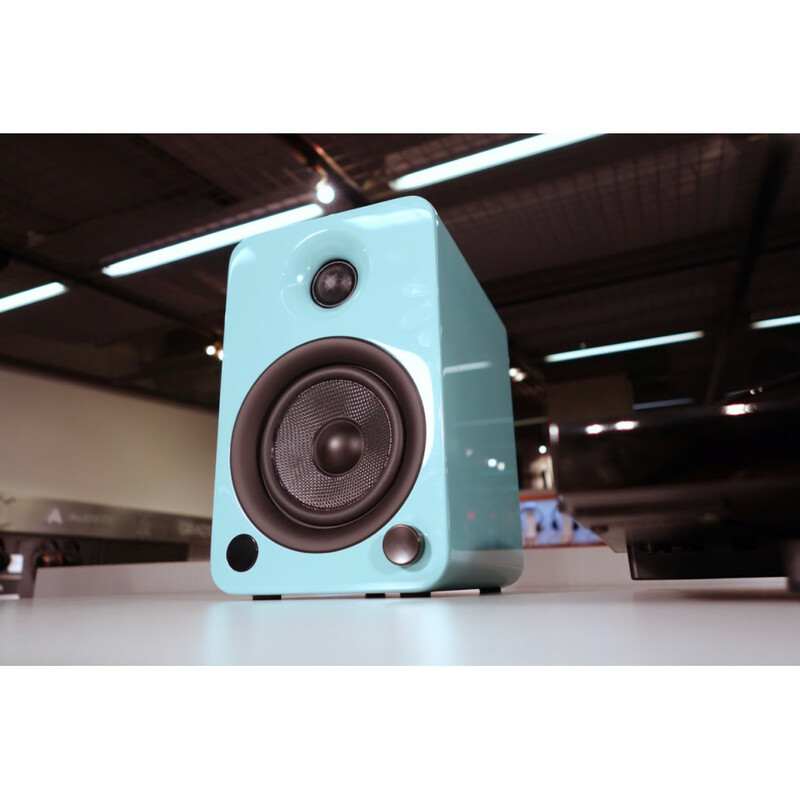 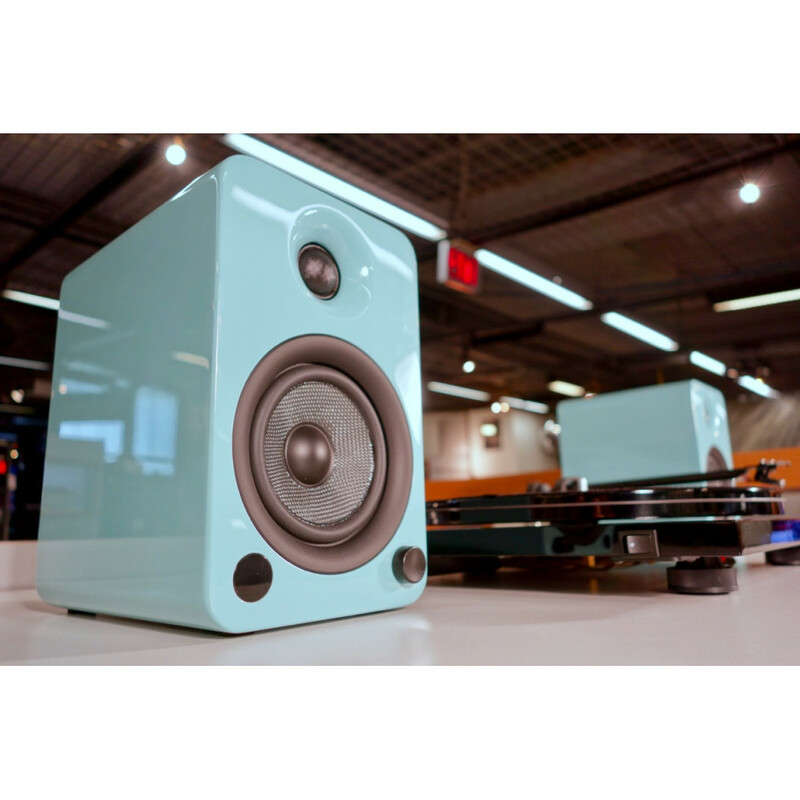 Kanto YU4 powered speakers with phono input and Bluetooth ($429) in teal, black, white, or red. 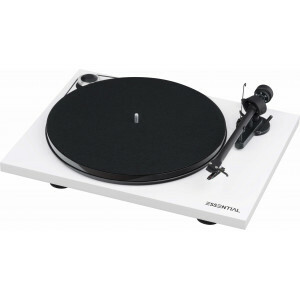 Pro-Ject Essential III belt-drive turntable with Ortofon cartridge ($449) in black, white, or red. 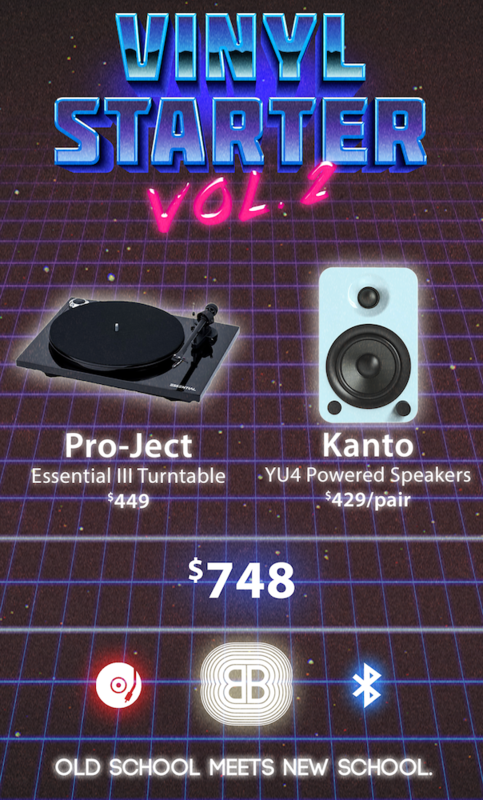 Check out Volume 2 SE and get Kanto's more compact all-in-one SYD speaker for the same price. 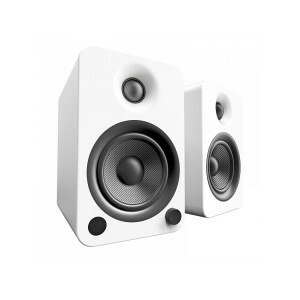 Step up to Volume 3 and get Kanto's more powerful YU6 speakers to fill your space with music.